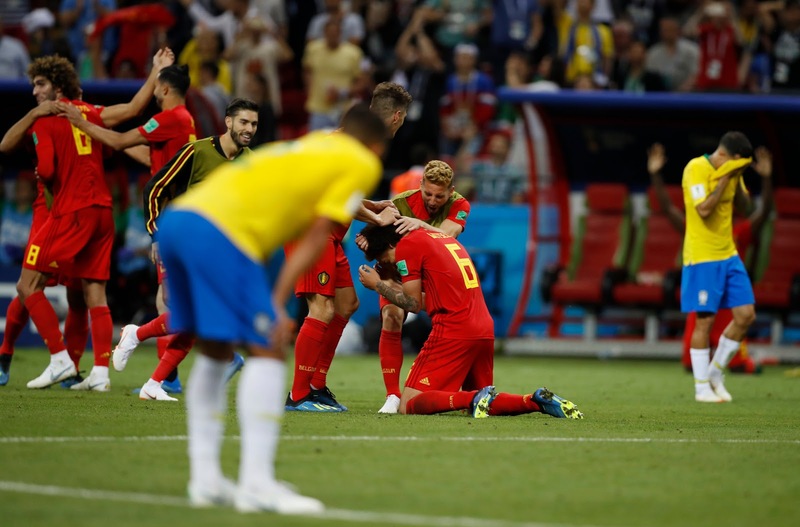 Brazil’s world cup dream 2018 ended in tears on the pitch today after a defeat by the Belgian team in a 2-1 result. 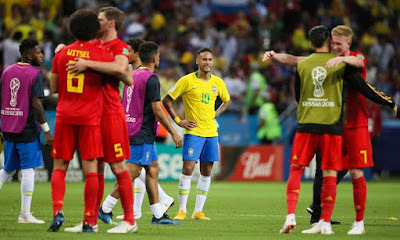 Until the ouster this evening in Kazan (Russia) of 'mighty Brazil,' the South Americans looked good enough to go all the way to the semi-final and some even tipped Brazil to pick the World Cup 2018. But sorry, that now is pipe-dream as Belgium seemed to have had a deserving win. How? Well, Belgium got an early goal in 13th minute of the first half of play, through an own goal by the Brazilian Ferdinand. And Kevin de Bruyne slot in a second goal in the 31st minute. Neymar had a good day working the ball but Belgium had a good goalkeeper in Thibaut Courtois, to save the shots. Renato Augusto eventually got a goal for Brazil in the 76th minute with Brazil playing harder to level the score sheet. But Belgium held on till the final whistle sending the Brazilians home with a 2-1 defeat!